MicaSense Atlas: Intelligent analytics to harness the power of smart sensors. Atlas is a simple to use cloud based platform built to provide intelligent solutions for precision agriculture. After processing raw data with Pix4Dmapper, turn imagery into actionable information using powerful analytics and visualization tools. Backed by the cloud, this dynamic platform allows for easy sharing and mobile access. Click the button to see a sample dataset in Atlas. What answers can Atlas provide? How do Atlas & Pix4D’s tools work together? Pix4D's software acts as the processing engine for MicaSense Atlas. After processing in Pix4Dmapper Pro or Pix4Dag, upload your data to Atlas for analysis, take it into the field for informed scouting, then export it or share with colleagues. Atlas uses embedded GPS information to automatically put new imagery in the right place. Atlas is portable. Connect and scout your fields easily in any device. 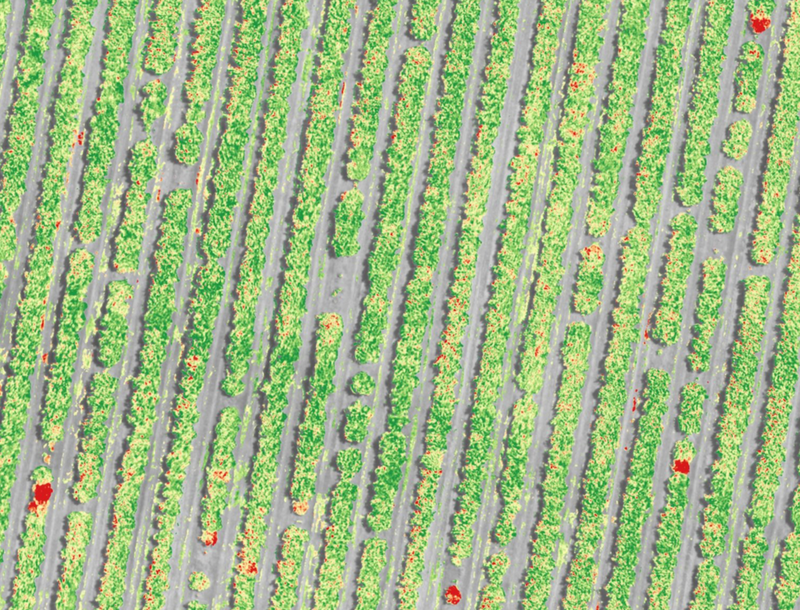 Chlorophyll maps, weed detection layers, and digital surface models help you make decisions. Track change over time in each field, whether its from week to week or season to season. * Requires Pix4Dmapper Pro for processing.